“Dino-mite” doors coordinate with Park Avenue Elementary’s dinosaur-themed book fair! 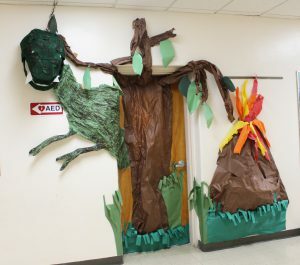 The school’s classroom doors are helping to create a “Jurassic Park Avenue Elementary” ambiance this week during the school’s Spring Scholastic Book Fair! Faculty and students had a blast creating special doorways to tie into the book’s theme and reinforce the importance of reading. 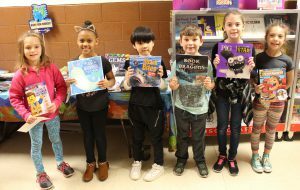 There’s still time for Park Avenue students to shop at the fair and pick up a book or two to read over the Spring break!